Nowhere can the dynamics of the pioneer-age believers be seen any better than in Lane County, Oregon. As towns sprang up because there was a way to make a living, so churches sprang up there, too, as several families of Christians-only identified each other and started meeting regularly. They met in homes and schools and some constructed church buildings. Lane County was covered with them. Some of these forty-plus churches are only a one sentence reference in a history book. As transportation improved, they merged with other groups of Christians-only. At the end of this chapter, we list those without a story to leave behind. These churches were not started by professional church planters or maintained by vocational preachers - perhaps supported by an organization of churches. They were started by charter members. Leadership of the services rotated from family head to family head. This was the church on the march. The Pleasant Hill Church was the first. 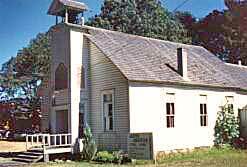 The church was organized August 4, 1850 some 12 miles southeast of Eugene in Lane County on Highway 58. There were 19 original members according to church records. They met in the one-room school house as sketched in this drawing. This appeared on the cover of the church's Centennial Celebration folder in 1950. The building was located in the corner of what became the cemetery. 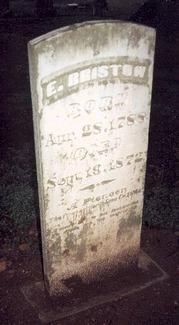 Elijah Bristow (1788-1872) from Virginia; Kentucky; and Macomb, Illinois is credited with founding the congregation. 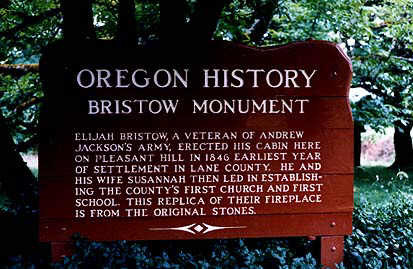 Bristow was the first non-Indian settler in Lane County. He acquired three trades - that of hatter, blacksmith and gunsmith. The balding Bristow is shown here with a hat - probably of his own making. When he arrived in the area in 1846, he is quoted as saying, "There I will take my claim; and I am going to name it Pleasant Hill. That ridge with the mountains in the background reminds me of my boyhood home in old Virginia." While Elijah had arrived earlier, his family came overland in 1848. He and Susanna had 15 children. He was affectionally called "Uncle Bristow." This was common among pioneer church leaders. -- Photo link for Elijah Bristow's house and a State Highway marker honoring him. -- This link is to an article about Elijah Bristow in the Illustrated History of Lane County, Oregon published by A. G. Walling, 1884. -- See this link for a detailed study of the Bristow family by a family member. The family had a tremendous impact on early Oregon. The last preacher to descend from the Bristow family was Arlo, who preached his final sermon at the Norvale Park Church of Christ during the years before it became the present Garden Way Church. In 1849 Elijah Bristow gave five acres for a church building, a school and a cemetery. The school was first taught in the winter of 1849-1850 and the building was used for church purposes. Services were conducted at the first by the heads of the families. The church and school quickly outgrew their facility and a new one was built with lumber from a newly-constucted planing mill. It was adequate for an additional 21 years. The log building was moved to Elijah Bristow's property and used as a barn. The first regular preacher was Gilmore Callison. His family arrived in 1852 from Illinois. The regular song leader at the church had become Robert Callison. We consider it the duty of the elders to visit their flocks from house to house as well as to furnish religious instruction upon the first day of the week. In case of a public transgression, or waywardness, the elders labor with the offender; if suitable reparation is made by him it goes no further; if not, they proceed to collect the evidence in the case, giving the accused an opportunity to confront those who testify against him and to defend himself if he wishes to do so. After which the elders proceed to give a decision in the case; regarding not only the magnitude of the offence, but also the sufficiency of the evidence to sustain the accusation. Cases of difficulty among the brethren are treated the same way, after the preliminary steps have been taken as set forth in the 18th chapter of Matthew. All this is done without confusion, and without having a democratic mass meeting of the congregation. After they give their decision, they proceed to publicly report the same to the church. After which the members withdraw from the offender according to the command in 1 Corinthians 5:11,12. We avoid the investigation of cases of discipline by or in the presence of the mass of the church as uncomely, sometimes indecent, un-Scriptural, and every way fraught with the worst consequences. We avoid voting by the church except upon questions of expediency. We look upon voting as tending more or less to factionism. All propositions that any member may wish to present to the church are first privately placed in the hands of the elders, which it is their duty to consider. If they think it will tend to the good of all then they lay it before the church for adoption or rejection. Acts 21:18-26. We also apply this rule in case of application for letters." A custom from the beginning of the Pleasant Hill church was to withdraw the names of those who in the judgment of the board were not living in a way suitable for a Christian. If members drifted away of their own accord, they were recorded as "Returning to the Beggardly elements." The first separate church building was built in 1875. As might be surmised from the two doors in the photo, the men sat on one side and the women on the other. Peter Rogers Burnett was the preacher at that time. While the building was built on property that originally belonged to Elijah Bristow, the property was deeded to the church by Robert and Polly Bristow Callison. The pioneer history of the Pleasant Hill congregation is not complete without telling of Isaac Newton and Sarah Mulkey. The Mulkeys arrived in Pleasant Hill in 1871. I.N. (pictured) brought the skills of farming and blacksmithing and made a good income from them. But as he continued to study the Scriptures, he longed to use his life teaching. He had the opportunity at Bethel in 1898. There he preached and tended his 6.5 acre garden. One of their sons became an Oregon State Senator. His brother, A. H. Mulkey preached at Coquille. Making their homes near Pleasant Hill were the Rigdon families. John, a graduate of Alexander Campbell's Bethany College, was married to Mary Bell (overland in 1853) and his son Stephen, was married to the Bristow's daughter Zilphia (overland in 1848). John left his mark as a circuit-riding preacher while several local landmarks bore Stephen's name: Rigdon Meadows, Rigdon Point, Rigdon Lakes and Rigdon Butte. In 1881, the congregation reported 74 members. 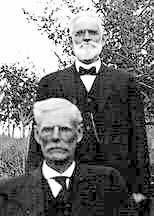 The elders at that time were Samuel Baughman, Robert Callison and Issac Newton Mulkey. This rural congregation has continued without interruption since it was established making it the oldest congregation in Oregon remaining located in one place. Its present building dates from 1912. The Bristow family is memorialized in a street name. Pioneer Reminders: Bristow Road, Elijah Bristow State Park. The precise history of the Hebron church may be lost in the fog of the past. Union services were once held south of Cottage Grove at Latham according to local historian Lillian Taylor. Then they were moved south on London Road (follow 6th Street south from Cottage Grove) to the Brown School House in the old Carpus Prairie area. This emerging church met from about 1860 until 1880. John Rigdon, Abott Levi Todd, Isaac Newton Mulkey, and Rufus Callison were on the roster of illustrious preachers that worked with the group. The area was renamed Hebron and a Christian Church emerged from the union church meetings. Alfred Sherman Powell moved here in 1879 and donated land for a church building. It was completed in 1880. In 1881, the church reported 45 members and an organizational date of 1870. At that time, the elders were W. J. White, Alexander Hamilton Powell and David Rice Harris. Eleven had been immersed into Christ in the previous 12 months. Alexander Hamilton Powell, the son of Alfred and Emma, was a leader in the congregation for 36 years. The church building was on his property. When the Cottage Grove Dam was constructed, it was necessary to move the Hebron building. It was dismantled and relocated on the west side of Cottage Grove Lake. The building may not be standing now. An a capella (non-instrumental) church had been formed four miles further south at London, beyond the tip of the Cottage Grove Lake, 14 miles south of Cottage Grove. The group first met three miles further south on London Road at Amos, then moved to London. The building was built by John Sutherland, Sr. and William T. Jones in 1888 and was originally named the Liberty Church of Christ. John Sutherland was the postmaster at London from 1898 to 1902. One feature of the building was a long shed built behind with horse and buggy stalls. (This would be far to the right of our photo.) It has been established that the building was of two entrance-door construction. This was so men could enter and be seated on one side and women on the other. This plan was used in the building where Alexander Campbell preached in Bethany, West Virginia. Early members included: Levi and Rosa (or Elizabeth) Geer, David Rice Harris and Rebecca Harris, William T. Jones, Phinius and Laura Massey, John and Nancy Sutherland, Emma Sutherland and Maggie Sutherland. It appears the London church discontinued meeting in 1968, but the property was used by the Hebron church beginning in 1970. The old building has been expanded with a two-story educational wing. We were particularly taken up with the fire-escape from the second story. 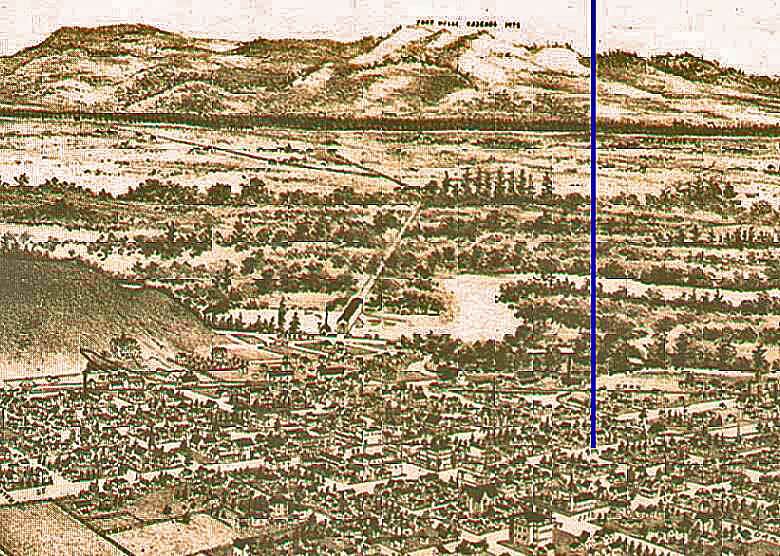 From about 1861 families had been meeting in "Eugene City" for worship. Now believers banded together to build the Lord's kingdom at the south end of the Willamette Valley, under the leadership of Gilmore Callison. They organized March 25, 1866 according to an article in the Oregon State Journal. First Christian Church built a meeting place in 1868 on the NW corner of 9th and Pearl. It was dedicated July 4, 1869 and was known later as the "old brick church." The structure was 36' x 72' and held about 350 people, although more were crowded in on occasion. We have a photo of the building below. It is from the church's collection and used with permission. The exact location of the building can be seen on our bird's eye view. 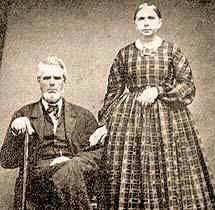 Pioneer members were Dr. Joseph B. and Margaret Gill (overland in the 1860s) and Thomas G. and Martha Hendricks. He came overland in 1848 with his family. His mother was a daughter of Elijah Bristow. Thomas became an elder in this congregation and served as a state senator. There is a detailed report on Thomas and Martha Hentricks in The Centennial History of Oregon 1811-1912, Volume II, published by The S. J. Clarke Publishing Company, Chicago, 1912. Vincent Scott McClure came overland in 1853 as captain of the McClure wagon train from Oaktown, Indiana. He served as a deacon in church and in the state legislature in 1863. His son, William H. H. McClure was also a pioneer (1853) and a member of the congregation along with his wife Amanda Callison McClure. James Monroe Shelley (1848) served as a deacon in the church, as well as County Sheriff and state legislator. In 1881 the church reported 108 members and Silas Monroe Hubbard was the preacher. He had formerly been associated with the Seventh Day Baptist Churches. Bro. T. F. Campbell has become fully settled in Eugene, and the work there is moving off finely. Prof. T. F. Campbell, now professor of mathematics in our State Agricultural College, located at Corvallis, was there also, but we only had time to give each other a hearty hand-shake and say good-by. So far as I can learn our brethren regret that Bro. Campbell, who has accomplished so much good for the cause of Christ in this State, has vacated the pulpit at Eugene and assumed again the professor's chair. J. P. Gill, a member of the congregation, wrote to the Christian Standard in 1888 to report about the church. At the end, in brackets he said, "Total number of additions, 772." A second building was constructed during 1897 and dedicated in December. It was located on the northwest corner of Eleventh and Willamette Streets. The minister was Morton L. Rose who began his work with the church in 1896. Mr. Rose was also an instructor at the newly-formed Northwest Christian College. The photo is from the church's collection and used with permission. Carlton Buck's hymn I Believe in Miracles emerged from this congregation. In later years, the church helped plant at least five other congregations in the greater Eugene area. The name of this town had a local connection - Elias Briggs had a spring in his field. A. G. Walling, in his 1884 Illustrated History of Lane County, says, "he chose as the site of his dwelling a spot convenient to a spring of water that sent up its little bubbles with ceaseless energy." Isaac and Betsy Briggs had migrated from Iowa in 1847 along with their son Elias with his wife Mary over the Applegate Trail. They had pioneered the Church of Christ in Iowa State and they were about to do the same thing again in for Springfield, Oregon. They first settled at Pleasant Hill and were charter members of that active church, then relocated to the Springfield area in 1849. We do not know just when the church began meeting, but by 1871 the Springfield Church reported 60 members. Early members included both Briggs families and Dr. William M. and Mariah Owsley. I have been holding a protracted meeting at Springfield, Lane county, Or., commending on Friday night before the third Lord's day in December, 1879, which lasted 14 days by the aid of Bros. Whitney and Morgan. It proved a success, resulting in 14 assessions; nine by letter, and five by confession and baptism. Your humble writer having been chosen to labor with the church at that place the coming year, would ask your prayers that the labor will not be in vain. Our membership at Springfield is thirty-two. He speaks of George M. Whitney of Eugene and Thomas McBride Morgan who had recently settled near Trent. T. M. Morgan wrote about that same time, "Bro. Cook has not been in the kingdom to exceed one year, notwithstanding his preaching is highly accetable, and well may they be proud of him." 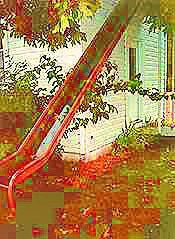 We organized a congregation some eighteen months since with a membership of 16; we now number 31. . . . We meet twice a month at a school house . . . . Bro. I. N. Mulkey has visited us once a month since last April. Old Bro. Philip Mulkey has visited us twice and preaching for us with the usual zeal he always manifests when he proclaims the love of God in the gift of his Son to a lost and perishing world. Our venerable and much esteemed Bro. Weddle is with us and does good service, being an able defender of the truth as it is in Jesus Christ. Although weighed down with 78 years, he is a power that will be greatly missed by us when our Heavenly Father calls him home. The cause of our Master is gaining. On first Lord's day in this month one lady made the good confession and was buried by baptism. She came out of the Methodist. 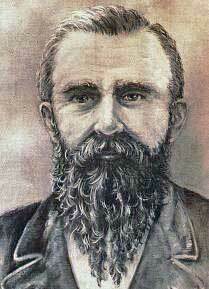 C. H. Hodges was the circuit-riding preacher in 1881. The church was still meeting and growing in 1889. The church is listed in the Disciples of Christ Yearbook of 1888 with 78 members. Indications are that they had a church building. The historical records of these three congregations are so closely entwined, we have combined them. Dexter took its name from the brand name on the stove of a pioneer settler. Lost Valley was named by Elijah Bristow - probably because of the remoteness of the place. They are each located just up the road from Pleasant Hill. Brothers Philip Mulkey and I. N. Mulkey commenced a meeting at Lost Valley school house, near this place, on Friday evening, May 20th, continuing until the following Wednesday evening. The immediate result being ten additions to the church (at Trent); nine by baptism, and one (Sister Ida Panter) reclaimed. Surely we have good reasons to rejoice, and, indeed, we have been made to rejoice to see so many bow to the will of heaven while in their youth. Brother I. N. Mulkey has been filling his monthly appointments at the place of said meeting for about two years, and he is now permitted, at least in part, to enjoy the fruits of his efficient labors. Truly some prophets have honor and success in their own country. - Quoted from Christians on the Oregon Trail by Jerry Rushford, 2nd edition, page 339. Published by College Press. At my regular appointment at Trent last Sunday, two were baptized on confession of their faith in Christ. The following year the church reported to the Lane County Cooperation Meeting that they had 51 members. An early history of Lane County shows James and Selena Parvin, pioneers of 1853, moving to Lost Valley the year after they arrived. They relocated to nearby Dexter where he was postmaster and ran a store for 11 years. Parvin was also listed as the clerk of the Dexter church for many years. Swander believes the Dexter and Trent churches merged sometime after 1910. The coming of the horseless carriage would have made this more achievable. These dates are in conflict with the local view at the Trent Christian Church. Their history claims a beginning of 1913 in the Wheeler home on Wheeler Road. So we conclude that the earlier congregation must have died out and been replaced by the present active church in 1913. Pioneer Reminders: Parvin Road, Parvin Butte. Sometime in the 1880's, a church formed in this Scottish community. Rufus Gilmore Callison, pioneer of 1852 and son of Gilmore and Elizabeth Callison, moved to this area to engage in stock-raising. His wife was Martha. His brother Robert Marshall Callison also moved here before 1900. For more about Rufus, see the Jasper Christian Church entry below. Our photo shows the auditorium portion of the present building. It was once a school building, but was purchased by the church and remodeled. It has had a large two story educational wing added. This active church has its own cemetery, the Fall Creek Christian Church Cemetery. Pioneer Reminders: Fall Creek Christian Church Cemetery. Most early activity in Mabel was built around sawmills, logging camps, saloons, and brothels. The town was named by the first postmaster after his daughter, Maud Mabel Drury. Mabel was up the Mohawk River 3.3 miles northeast of the town of Mohawk and near the site of the present Marcola Christian Church. On the 1895 maps, Mabel was in Linn County. A congregation was established close to the intersection of Marcola Road and the Shotgun Creek Road. The building was built prior to 1884. Early members may have included B. Vawter Crawford and his wife Mary, and Timothy Ambrose Lewis and his wife Louisa Crawford Lewis. The Crawford connection is to the Crawfords of Crawfordsville. The congregation had a gospel meeting with I. N. Mulkey in January of 1889 and nine were added. It was Rufus Callison, son of Gilmore Callison, who organized the Jasper Church with about 82 members. At first they met in the school house, and later built a building. The first services were held in 1889 or before and the first building was constructed in 1907 at a cost of $1,348.45. Callison was a circuit-riding preacher in Lane County for many years. He is pictured with the Fall Creek entry above. Other preachers of early times were D. W. Handsaker and D. C. Kellums. Mr. Callison while addressing the Oregon Christian Convention at Turner in 1915. His theme had been that a good, devoted, useful Christian life is necessary as a preparation for the future life. His final words as he died were, "Prepare to live and you will be prepared to die." He died in his 74th year. At that time, his home had been in Vancouver, Washington. There is a profile of Rufus Gilmore Callison. 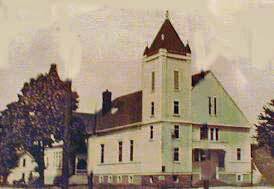 Originally called East Eugene, the Fairmount / University Street Church of Christ in Eugene was established as a result of efforts by Mrs. Sadie Haggard of First Christian Church, with assistance of Eugene Bible University students, and organized May 2, 1909, with 27 people desiring to be members. This was the second congregation of the Churches of Christ and Christian Churches in Eugene. 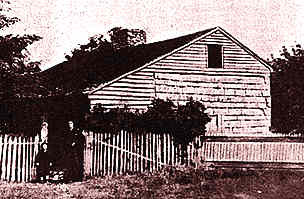 The Fairmount Christian Church began meeting above Dempster's Store for teaching and preaching. A building was begun in 1909 on the lot purchased at 17th and Columbia, and was dedicated in April 1910. The young preacher, James M. Morris, donated his time in the early months. Mabel Haggard was the first to be baptized in the new baptistry after students had spent the afternoon dipping water from a ditch along 17th Avenue to fill it. By 1920 there were 74 names on the church roll; 126 active members were listed in May of 1928. The first missionary, Melba Palmer, went to Tibet in 1937. Minister Walter Naff started a building fund, and construction of a new educational unit was begun in 1947 behind the Fairmount building. During W. W. White's ministry, 1949 attendance averaged nearly 300, and Sunday School over 200 in 16 classes. The last service at Fairmount was conducted by minister Leo Woodruff on July 25, 1954. The property had been sold to the University of Oregon. University Street Church of Christ was the name chosen as the congregation moved into a new building at 29th and University. The congregation closed it doors in 1996 after a long and eventful history. Alicia Nott, church historian, has supplied much of the information about the Fairmount / University Street Church of Christ. 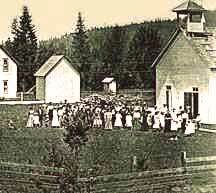 These pre-1900 Lane County congregations have come and gone, leaving almost no record behind. If you can help reconstruct one of these stories, please contact us.